Esri to host its 38th Annual Esri User Conference, July 9–13 in San Diego. 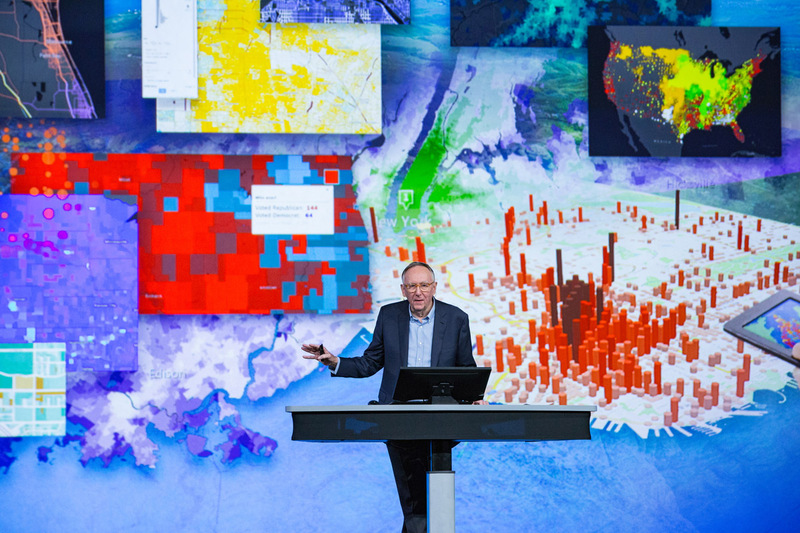 Redlands, California—Esri , the global leader in spatial analytics, today announced that it expects more than 18,000 mapping and GIS users at the San Diego Convention Center for its 38th Annual Esri User Conference (Esri UC), to be held July 9–13, 2018. The Esri UC is the destination of choice for international technology experts, scientists, educators, business executives, and GIS users from every discipline—including commercial businesses, governments, and nonprofits—seeking to transform their organizations through the most powerful GIS and mapping platform on the planet.Futurist Juan Enriquez will provide the keynote “Evolving Ourselves – Redesigning the Future of Humanity.” His talk will explore the future of humanity as it depends on the intersection of geography and genetics as we design our places and ourselves. Attendees will also hear presentations from users who are creating smarter organizations that can tackle complex global issues, including how to create more sustainable businesses, address homelessness, diminish poverty, and counter the effects of climate change. Civil rights leader and activist, Dolores Huerta, will motivate others to action as she shares how the Dolores Huerta Foundation utilizes Esri technology to inspire and organize communities to build volunteer organizations empowered to pursue social justice. New York Times best-selling authors James and Deborah Fallows will take conference attendees through their recent book Our Towns: A 100,000-Mile Journey into the Heart of America, which provides anecdotal stories about the challenges small-town America faces. Felix Finkbeiner, a recent college graduate and recipient of the German Federal Cross of Merit, will detail his Trillion Trees Campaign—a commitment to the environment that has grown from planting 1 million trees to planting more than 15 billion trees in 190 countries under the guidance of the United Nations Environment Programme (UNEP). The Esri UC is where technologists go to understand how to leverage location intelligence and mapping technology by taking part in more than 345 technical workshops and 243 presentations. The mapping community is represented with 73 special interest groups and 192 paper presentations chosen from nearly 900 submissions. Previous keynote speakers include anthropologist Jane Goodall, former Maryland Governor Martin O’Malley, TED conference founder Richard Saul Wurman, and musician and entertainer will.i.am. For more information and to register, visit go.esri.com/pruc .